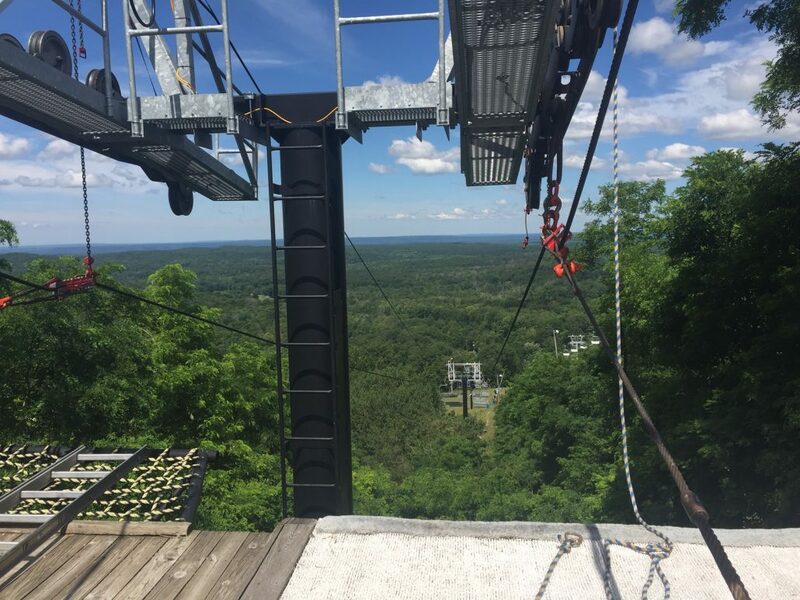 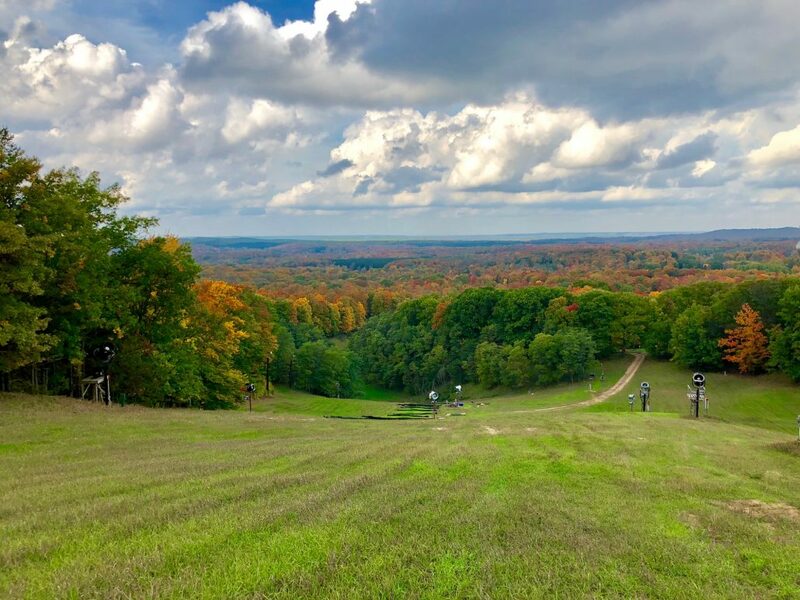 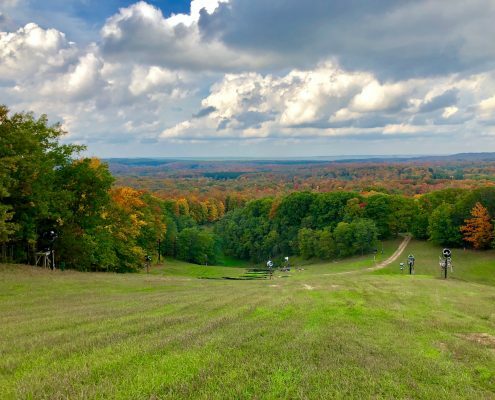 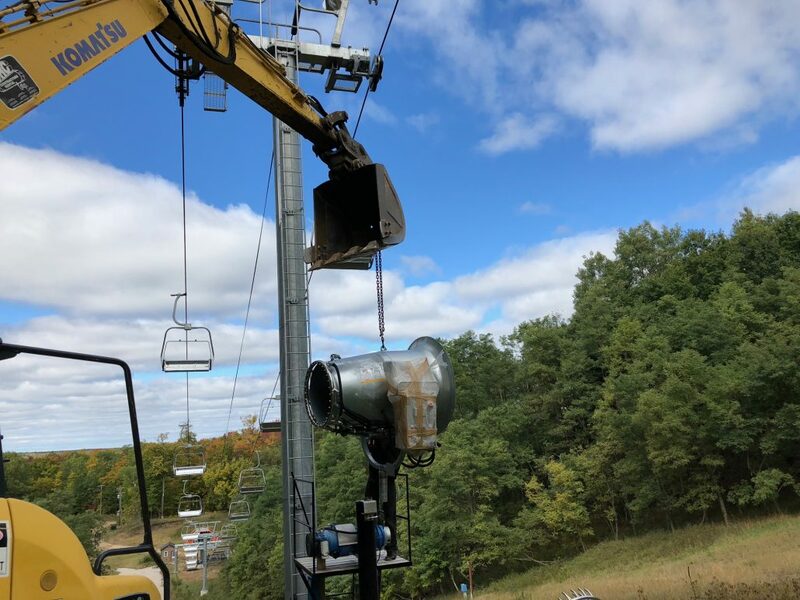 Caberfae Peaks has been posting “What’s New” for the upcoming season at part of our “What’s New Wednesday” segment on Facebook every Wednesday. 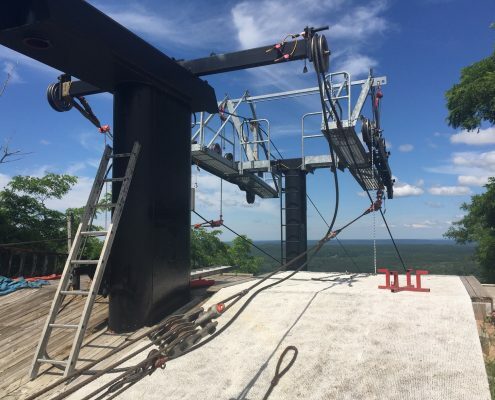 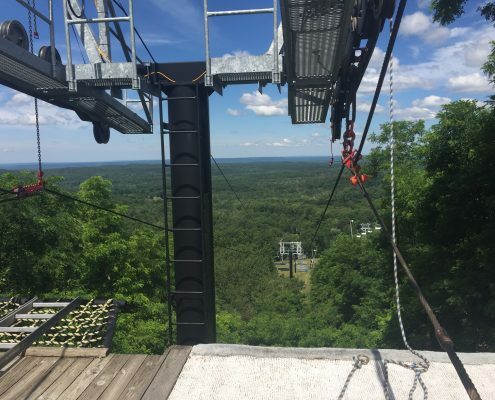 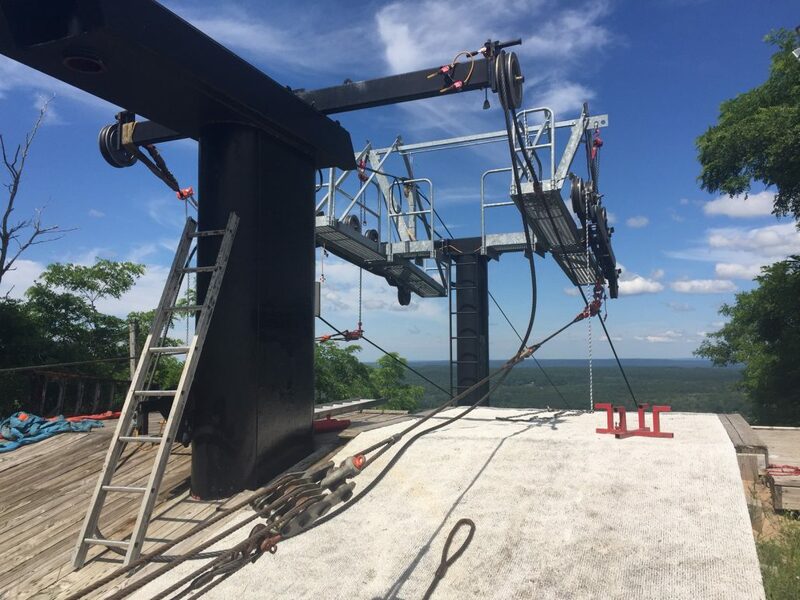 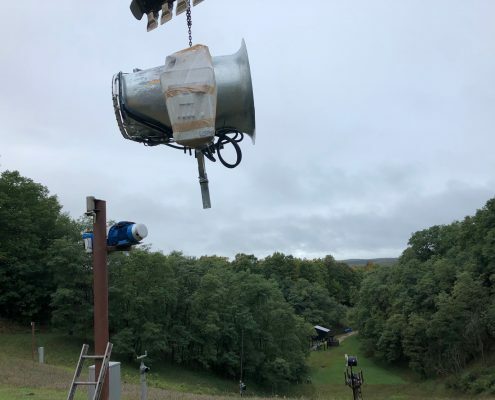 Here are some photos, along with text, of some of the new things you can expect during your visit to Caberfae Peaks this winter. 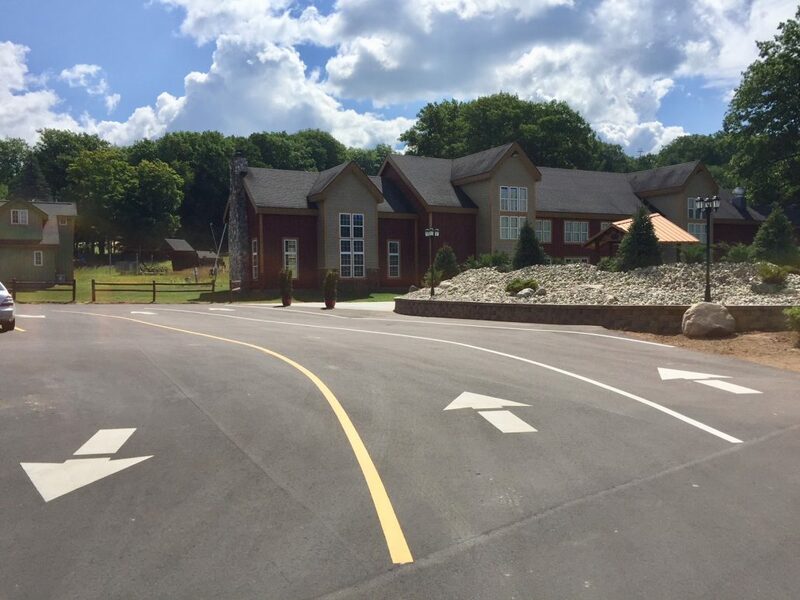 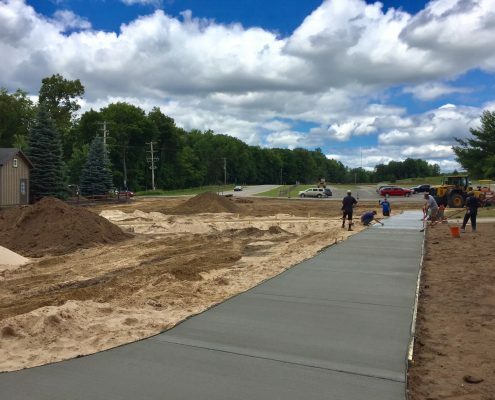 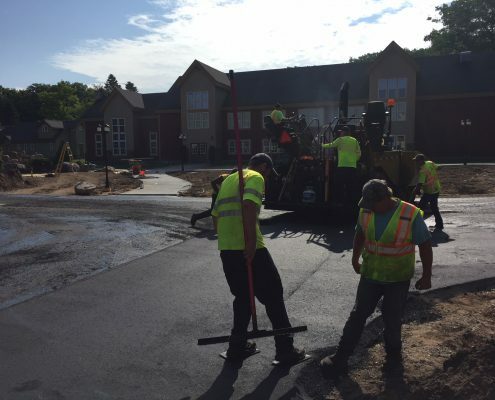 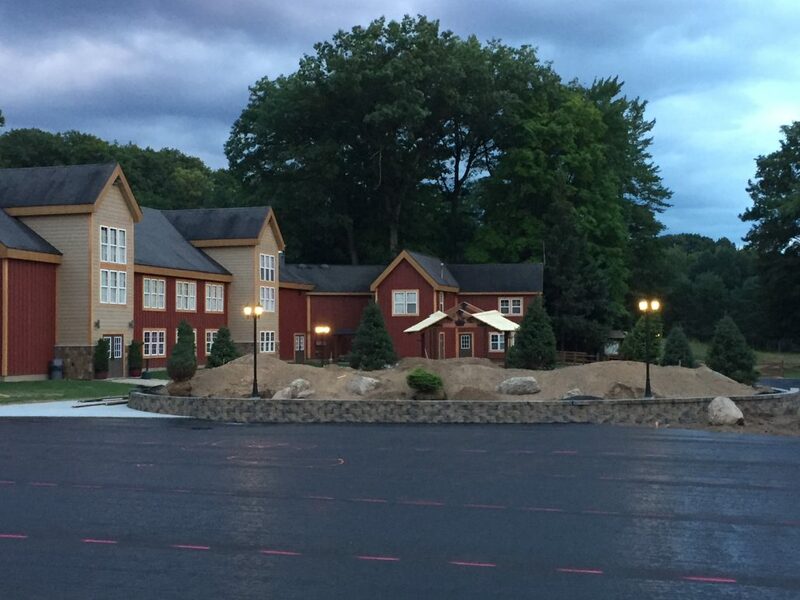 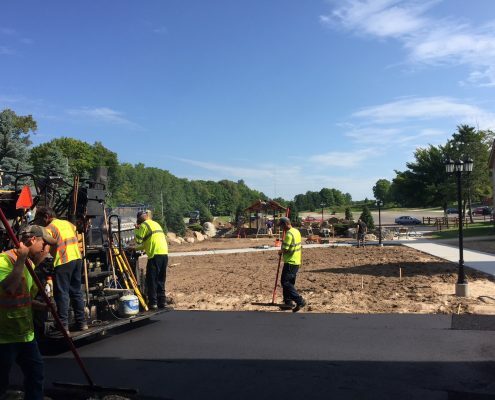 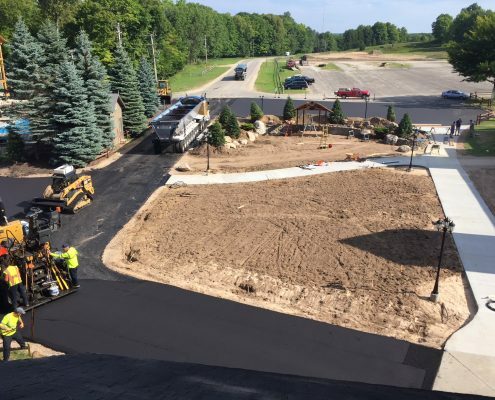 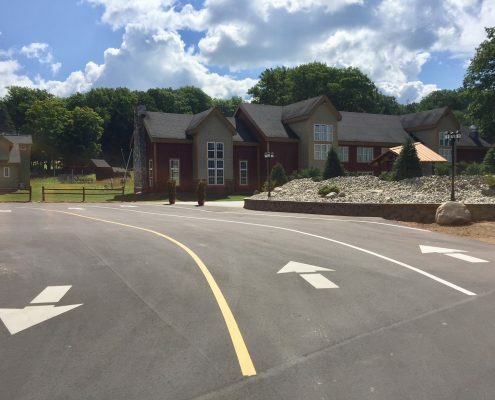 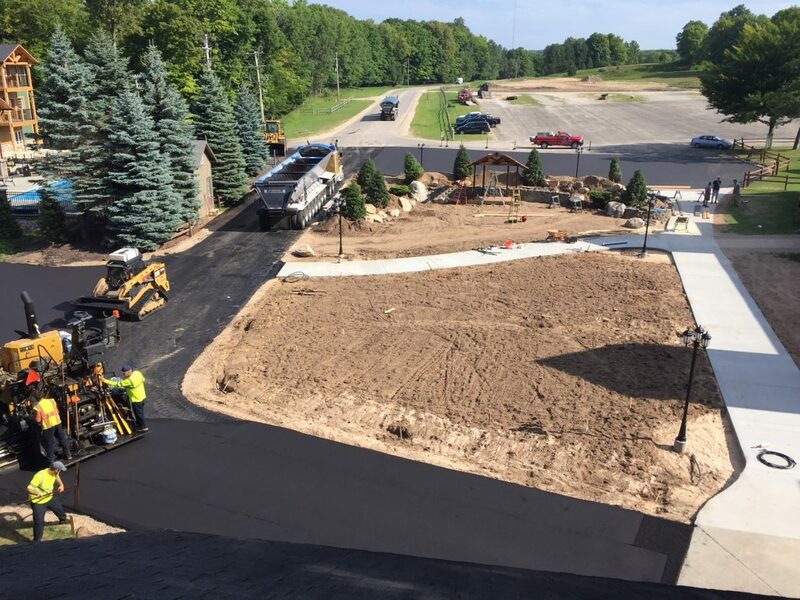 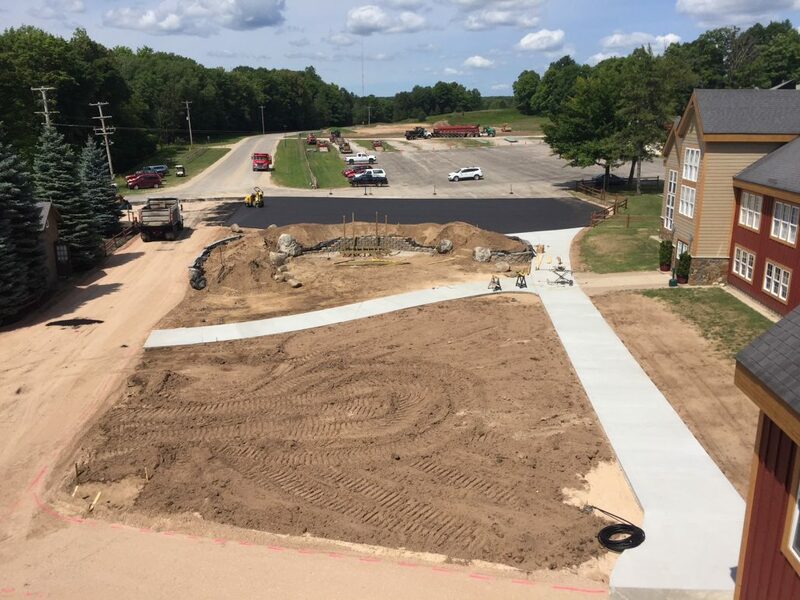 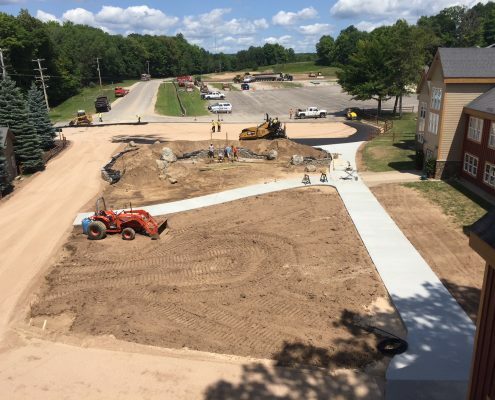 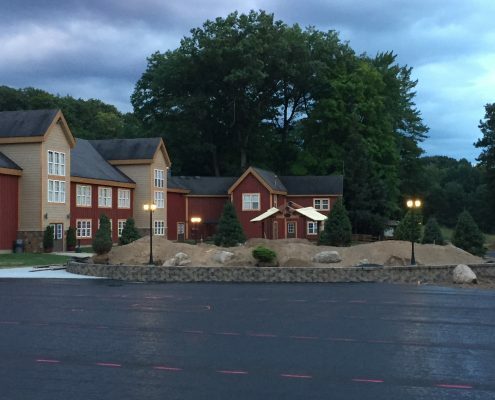 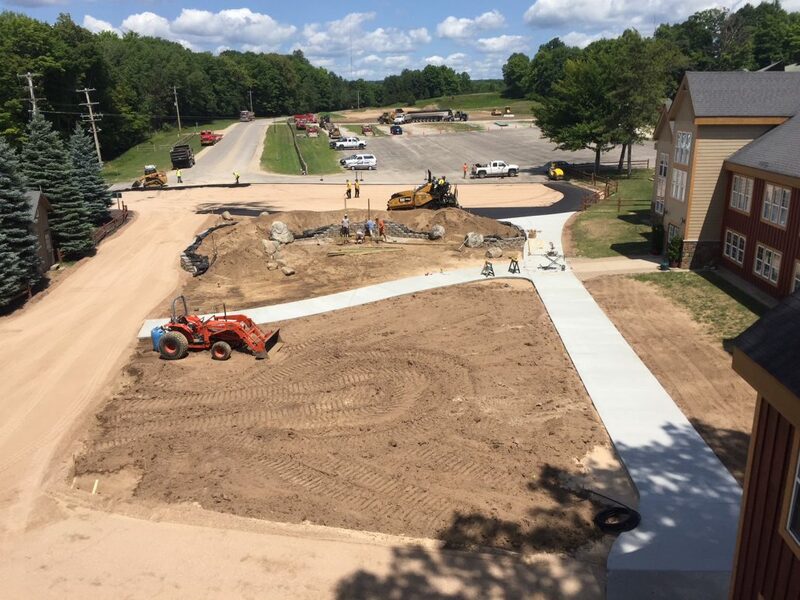 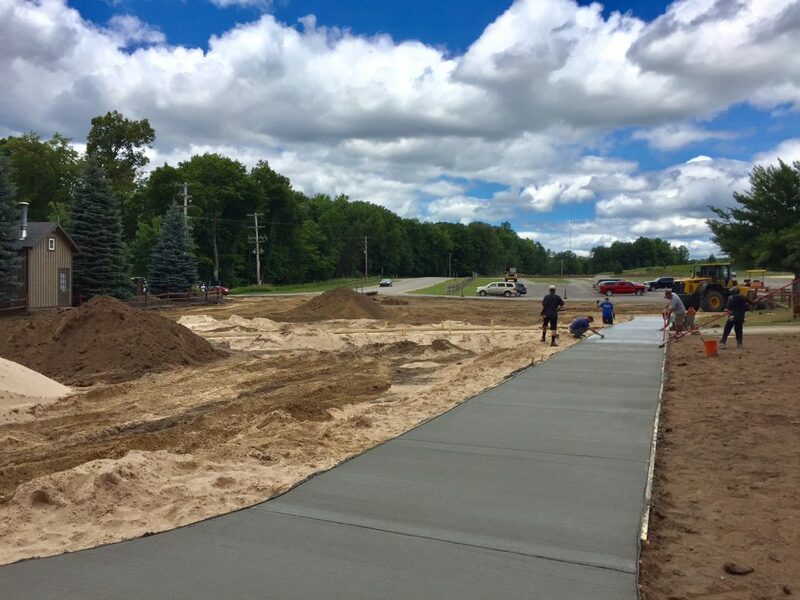 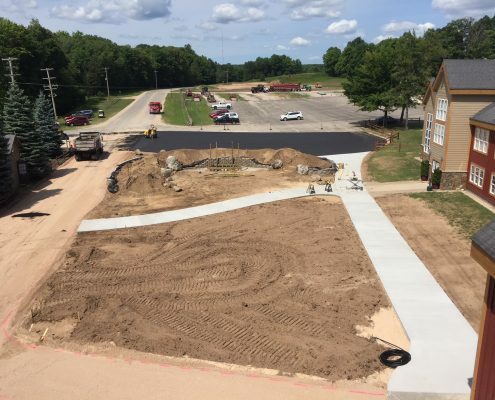 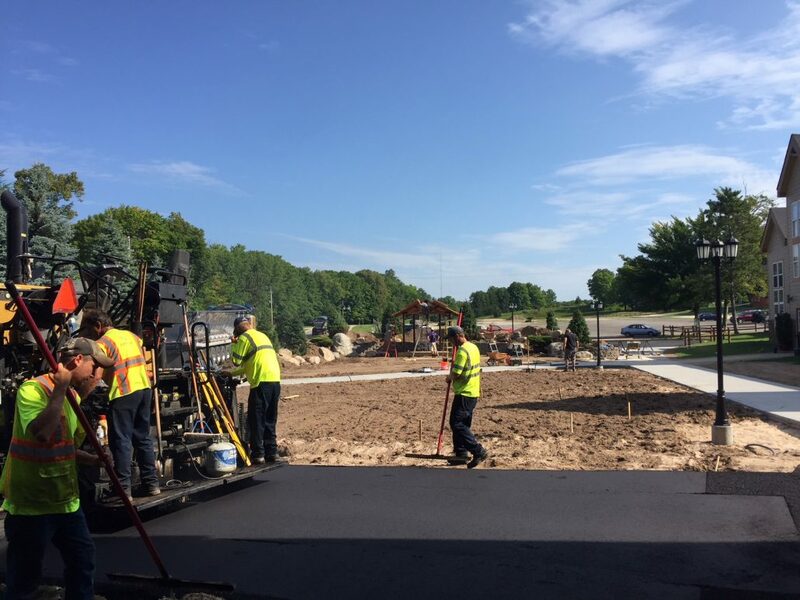 August 28: Improved skier drop off area with new pavement, pavement markings and concrete sidewalks. 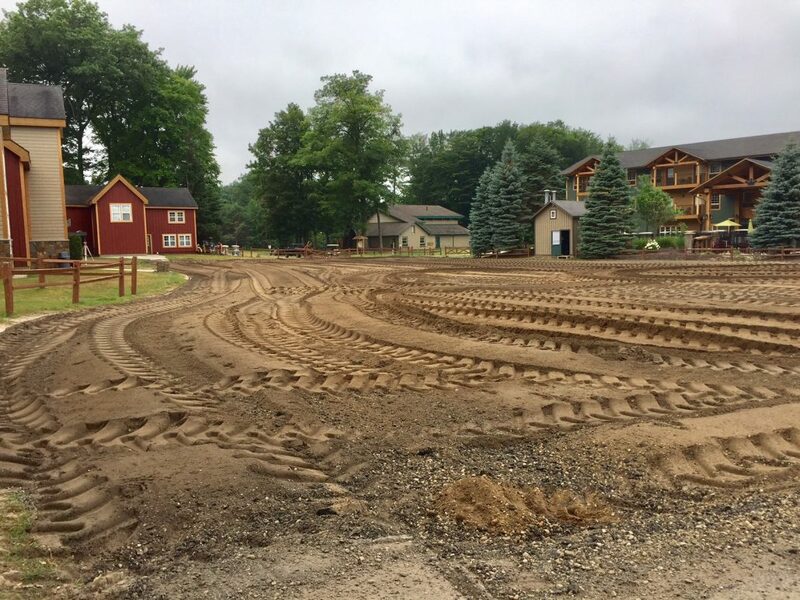 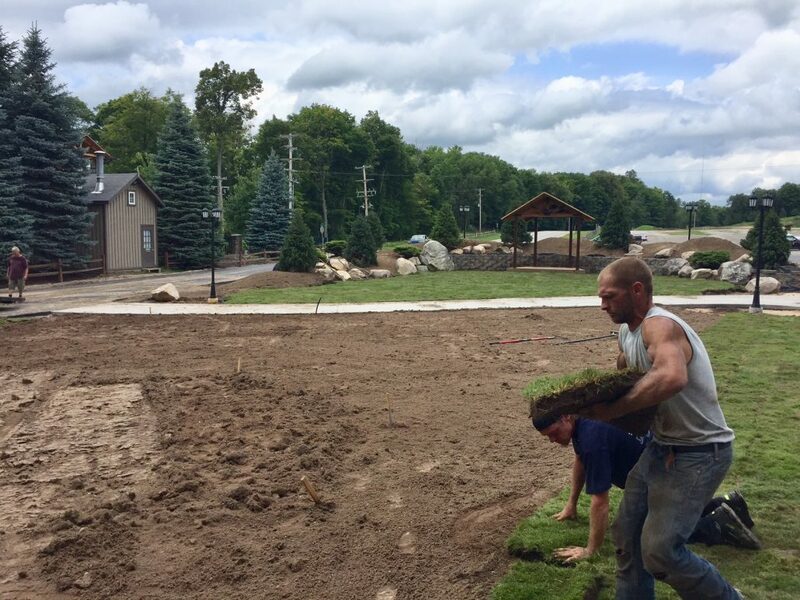 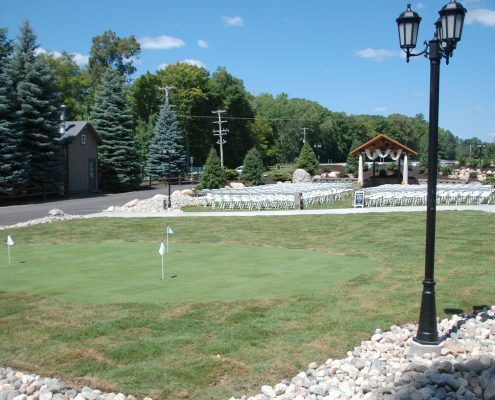 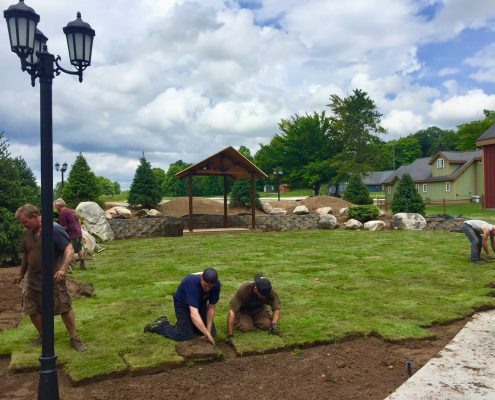 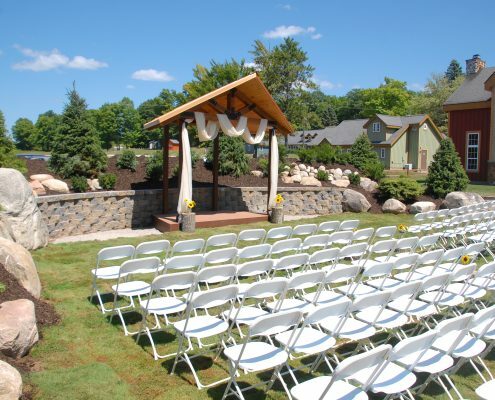 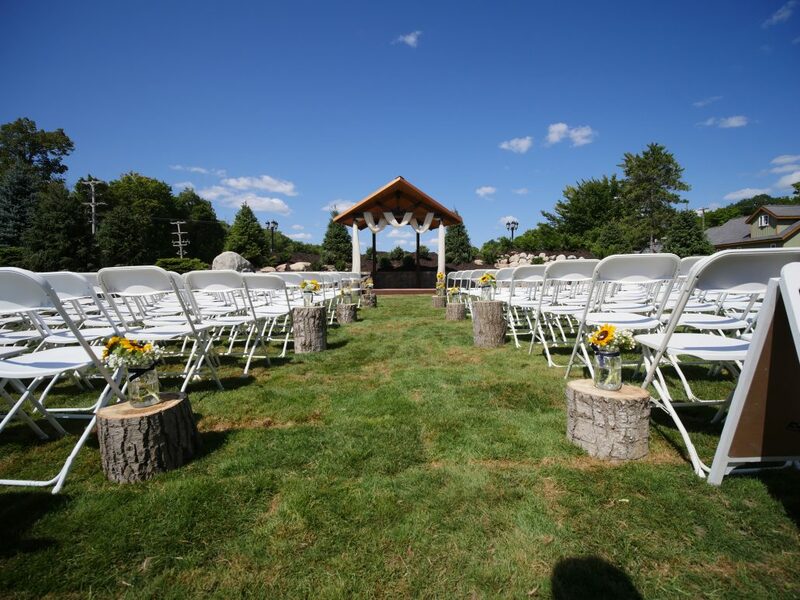 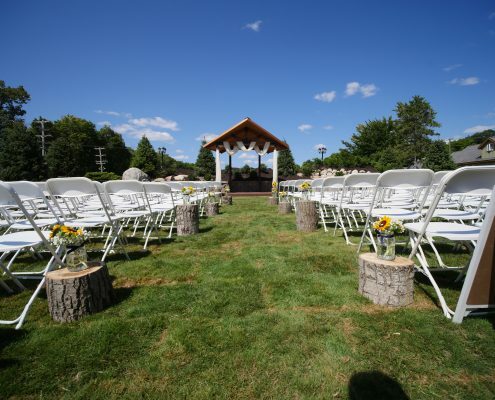 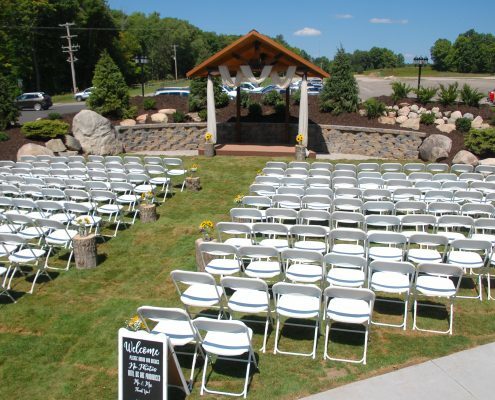 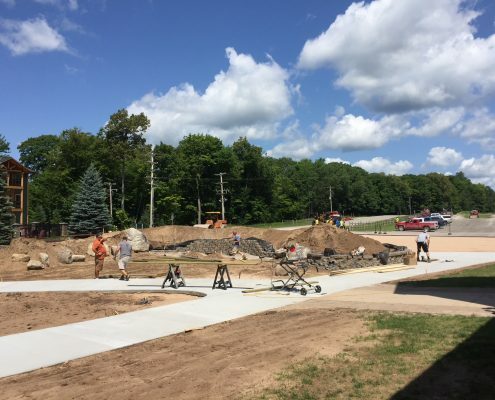 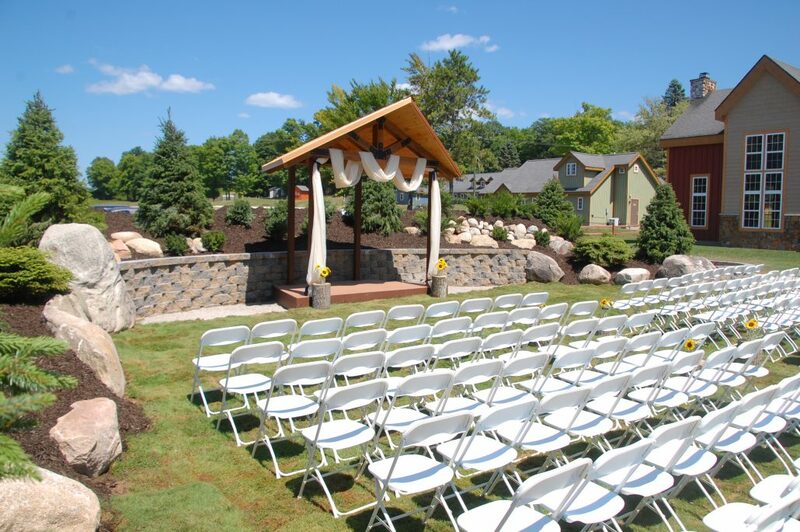 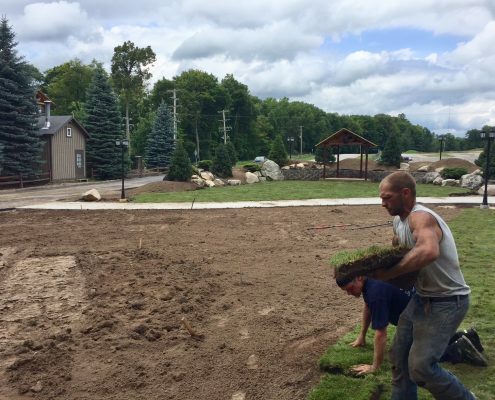 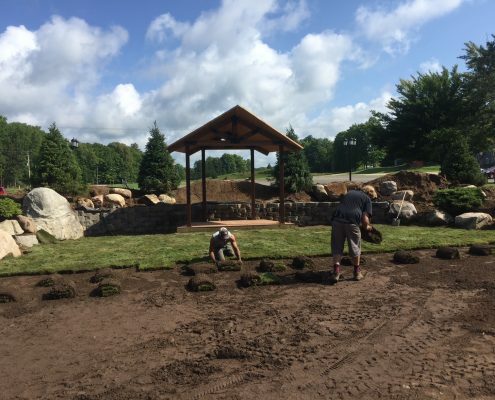 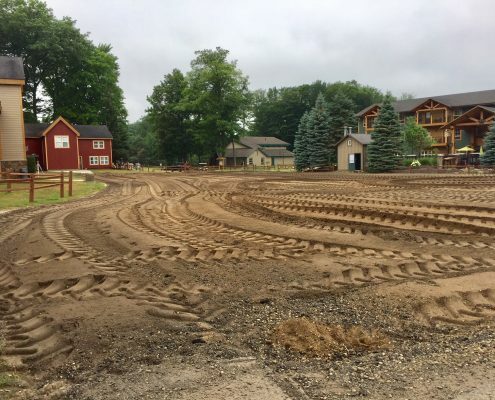 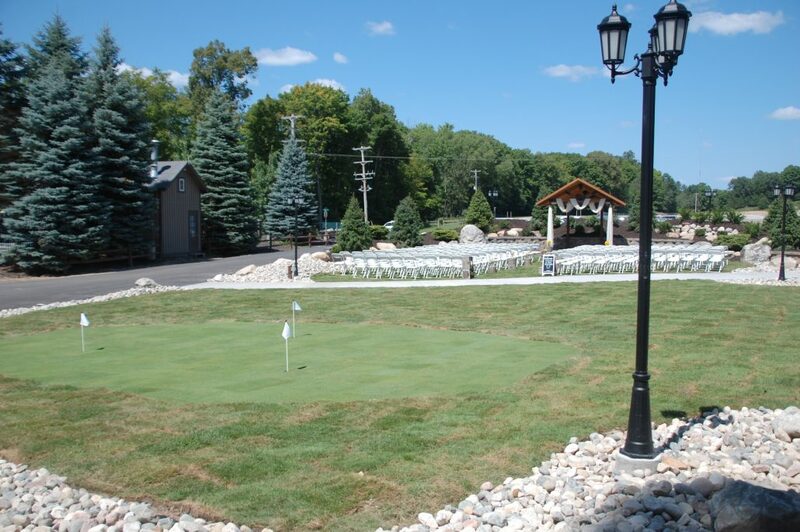 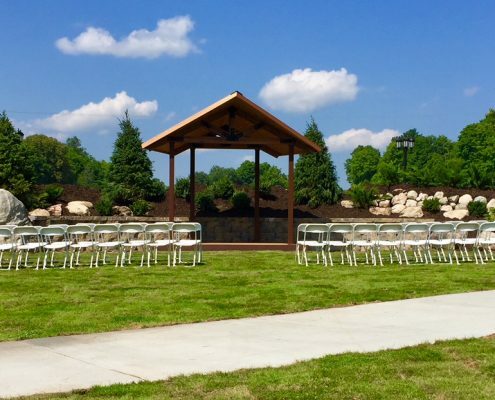 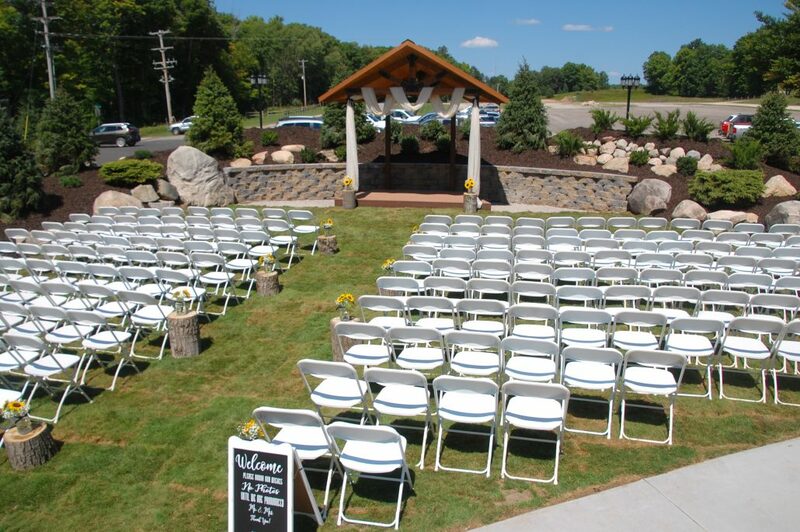 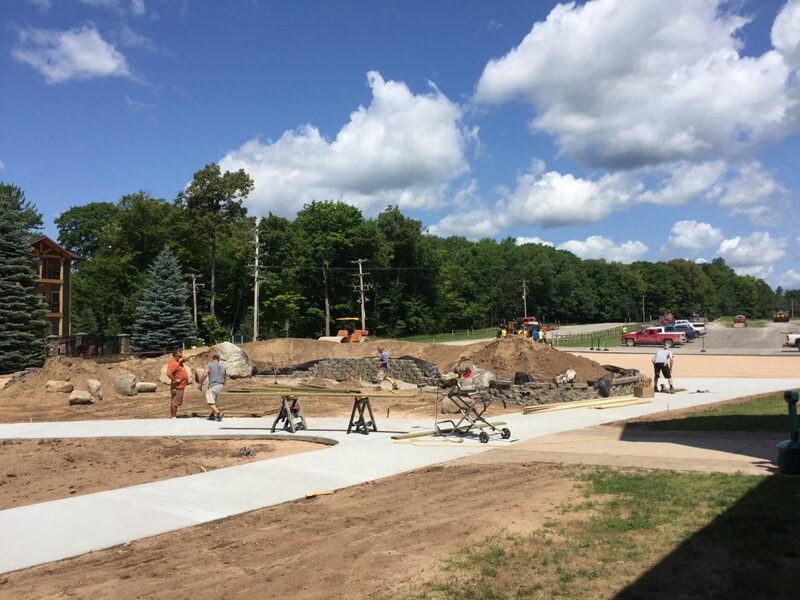 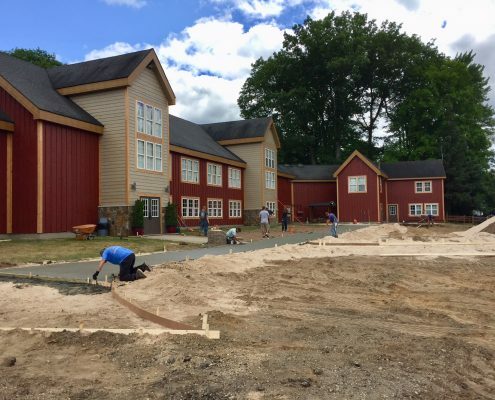 The area also includes the creation of a courtyard/greenspace for our outdoor ceremony sites, relocation of the putting green, and areas to gather. 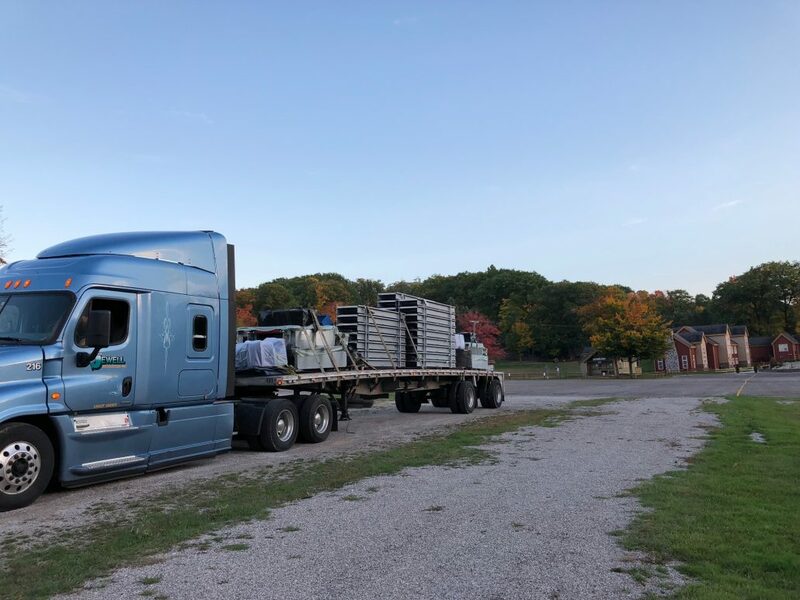 Photo journal below starts with the most recent photos. 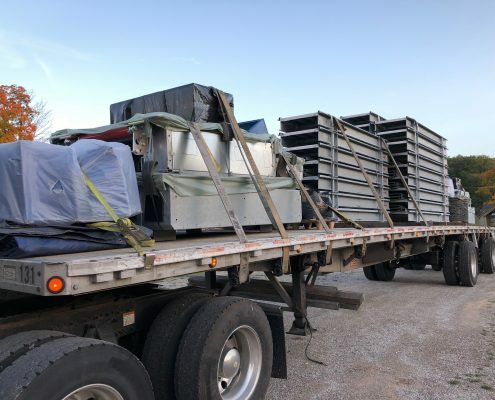 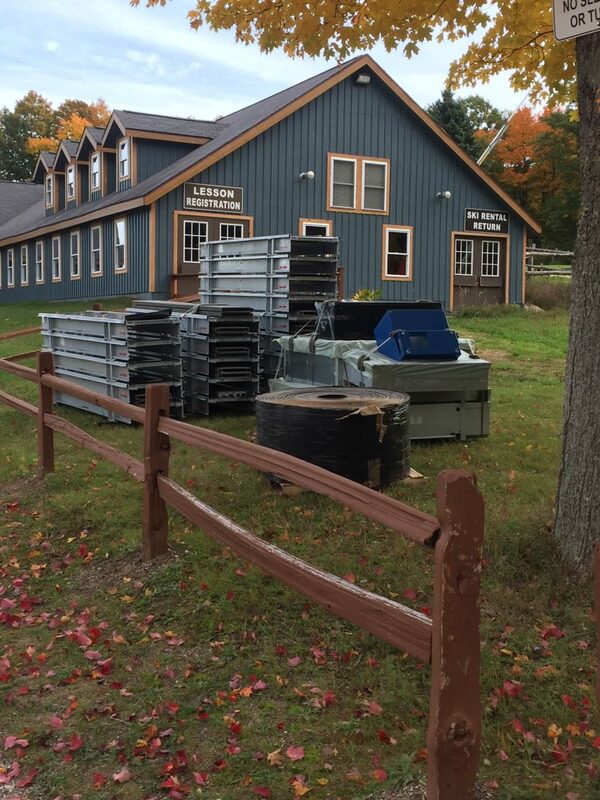 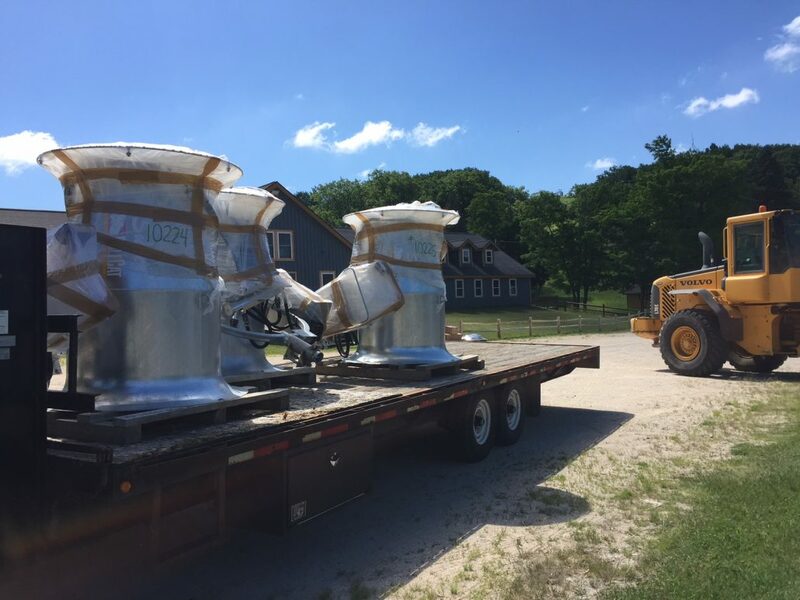 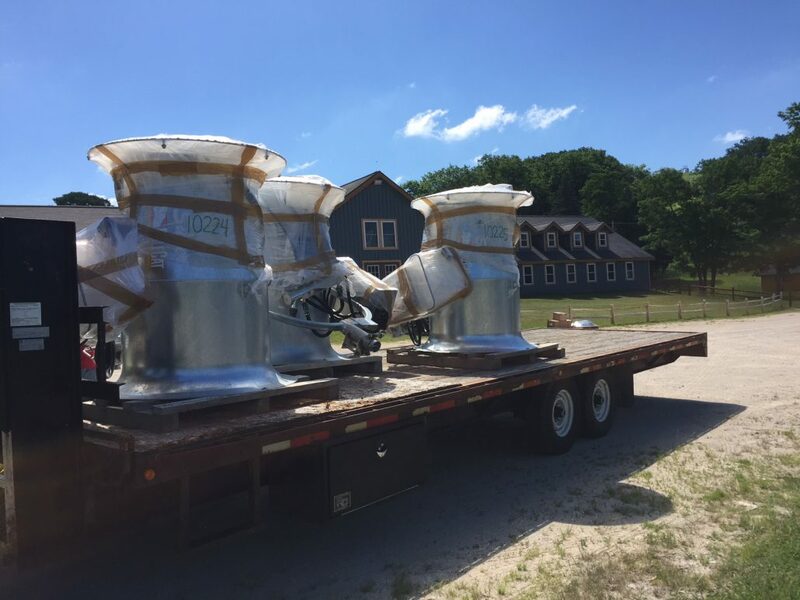 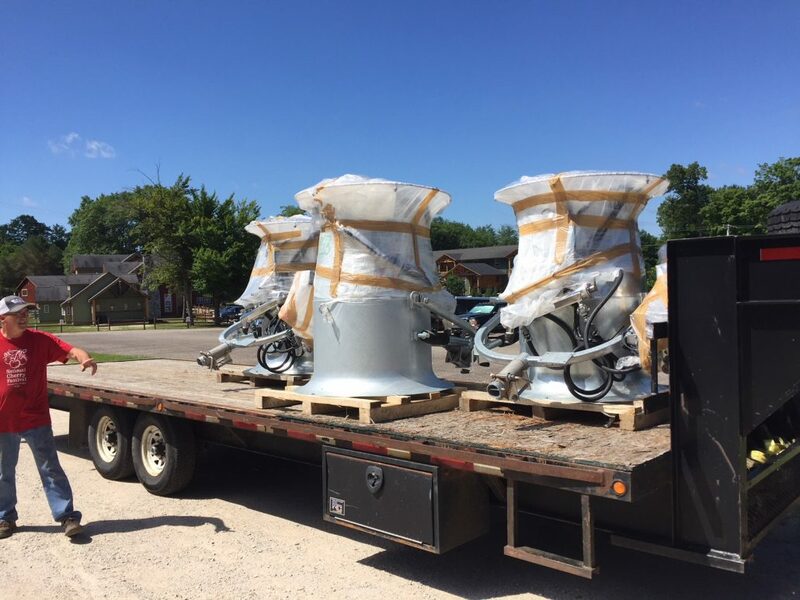 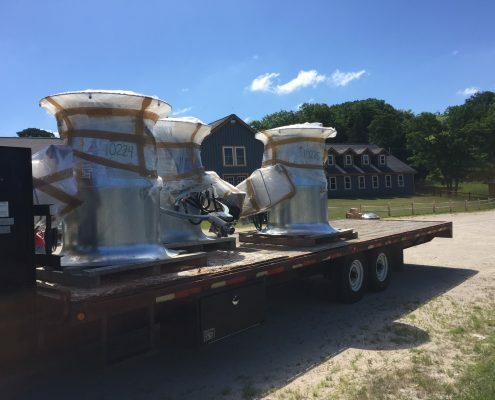 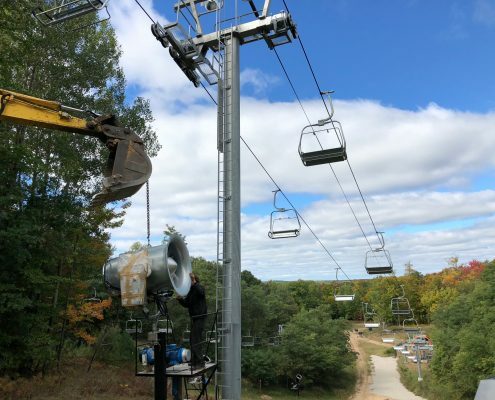 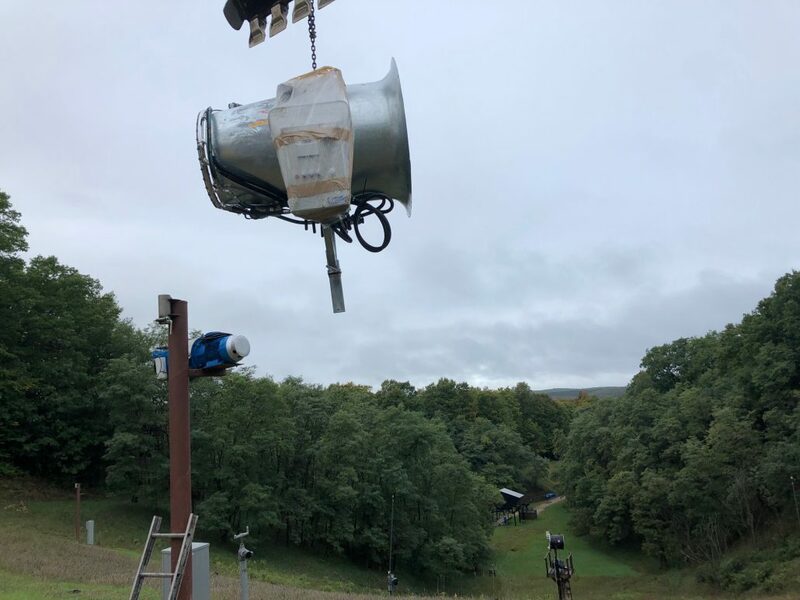 September 5: Snowmaking improvements continue this off season with the addition of 4 new SMI Super PoleCat snowmaking guns, along with the addition of 9 new SMI PoleCat snowmaking towers. 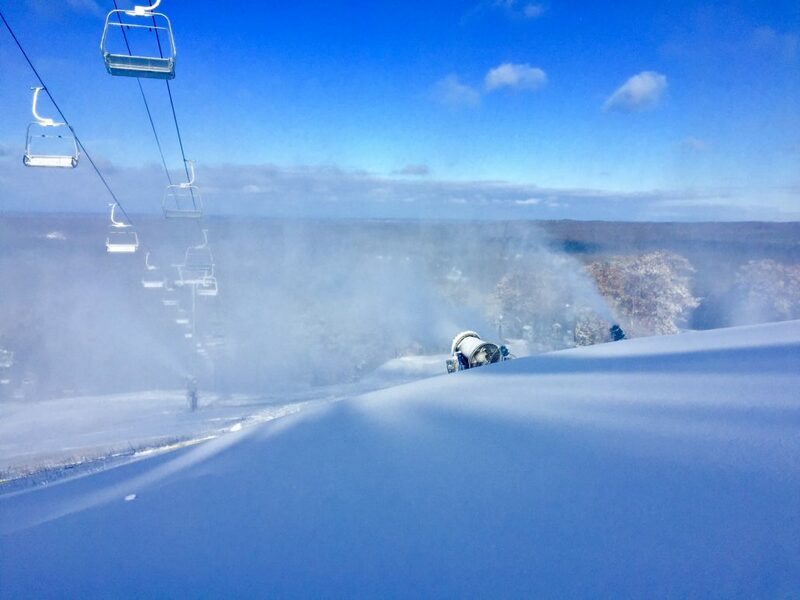 Bring on the cold temps! 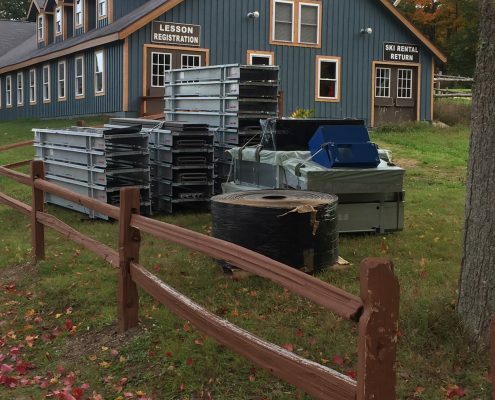 September 12: More seasonal lockers for rent in our Ski & Snowboard Rental Facility. 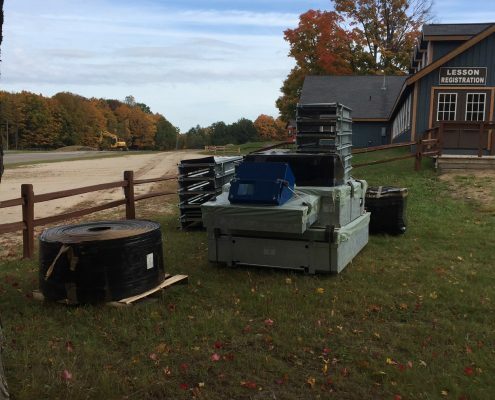 Are you tired of schlepping your gear to and from the resort? 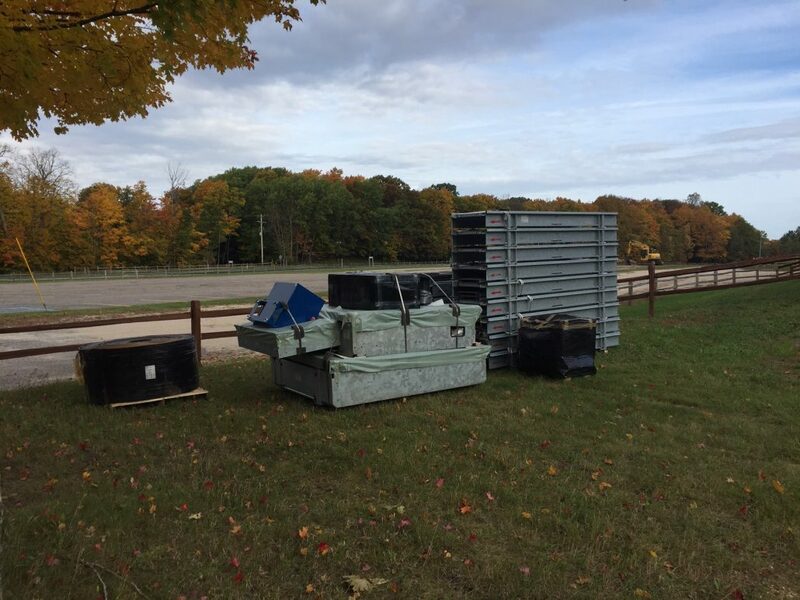 Get a locker for the season, starting at $149. 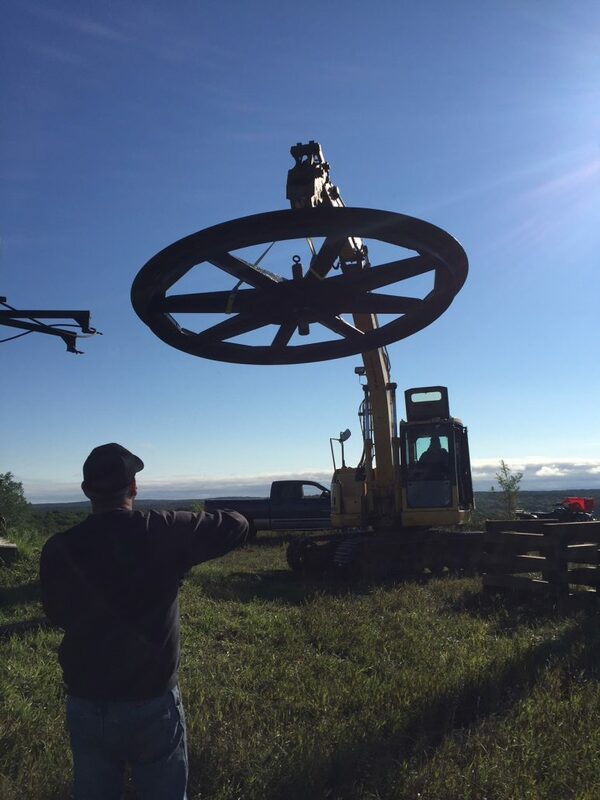 September 19: New Bull Wheel Bearings. 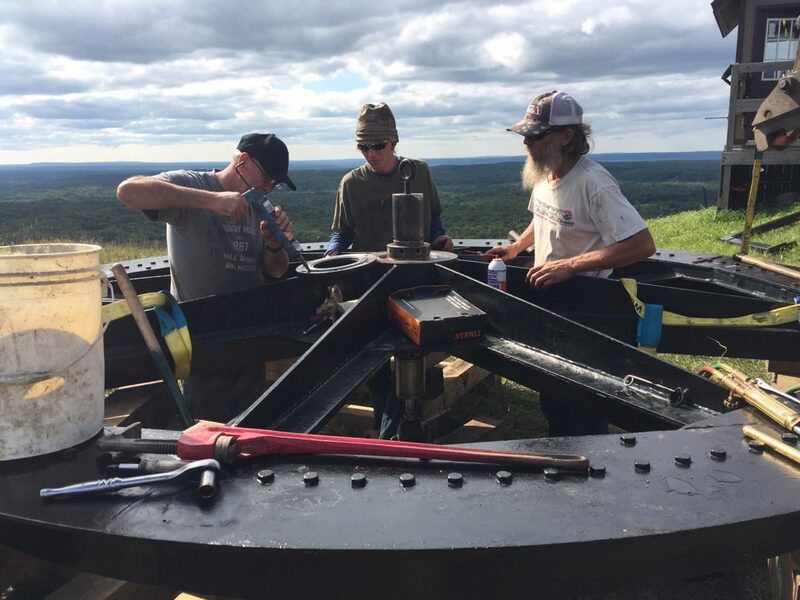 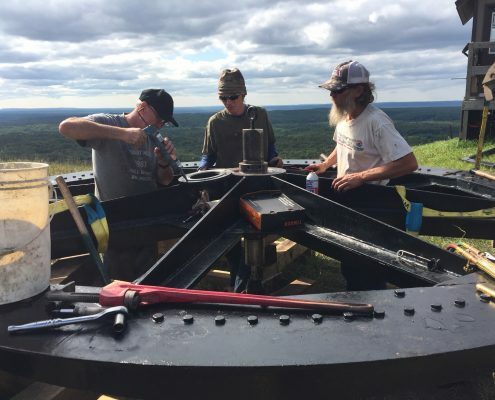 The crew spent part of the summer replacing the bearings on the top bull wheels. 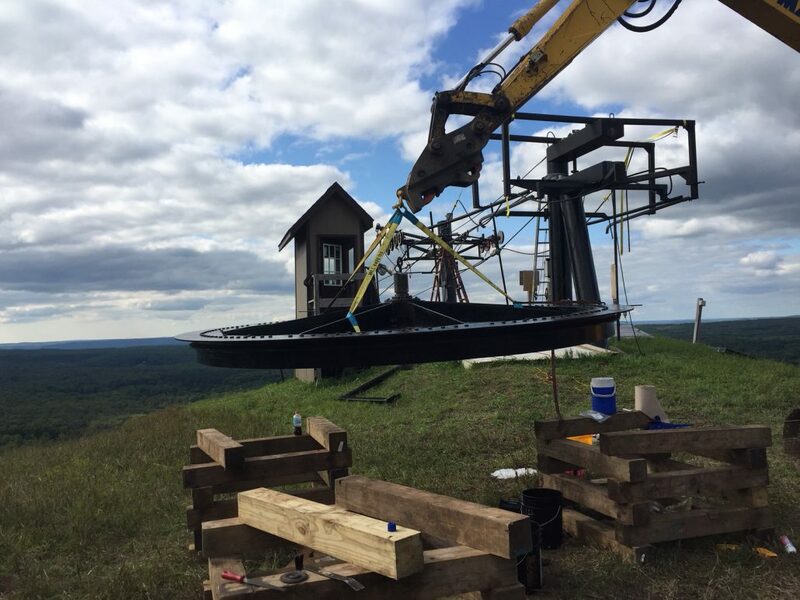 The key to keeping the lifts spinning during winter operations is great off-season maintenance. 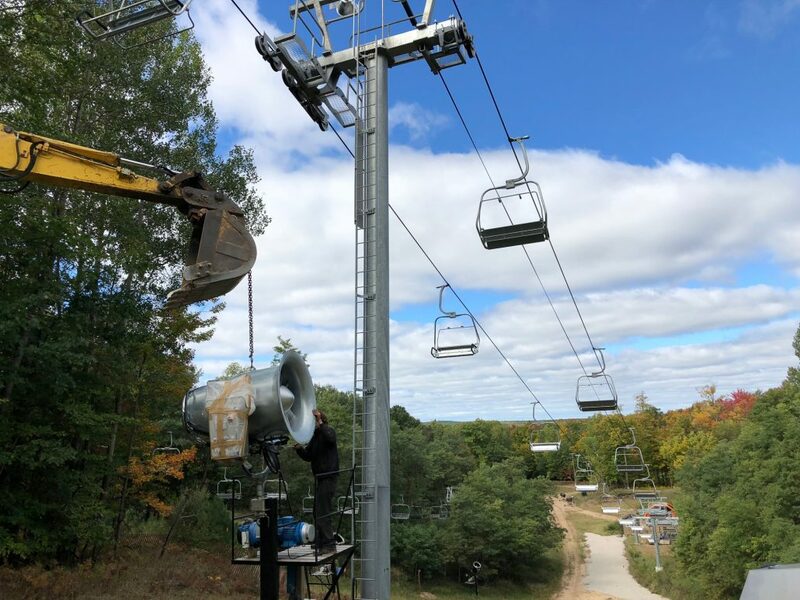 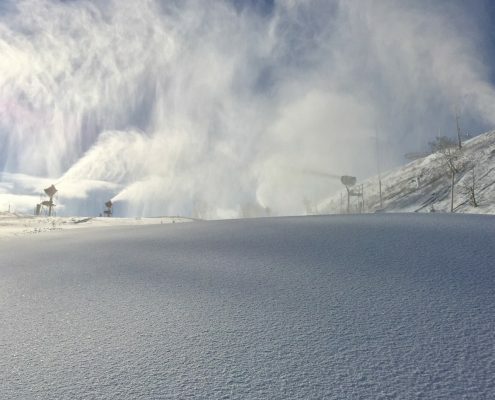 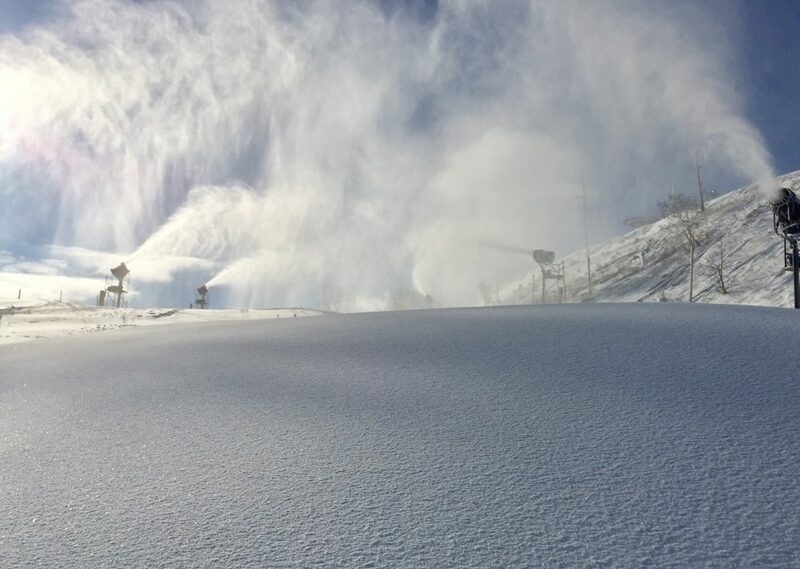 September 26: Improved snowmaking infrastructure on South Peak. 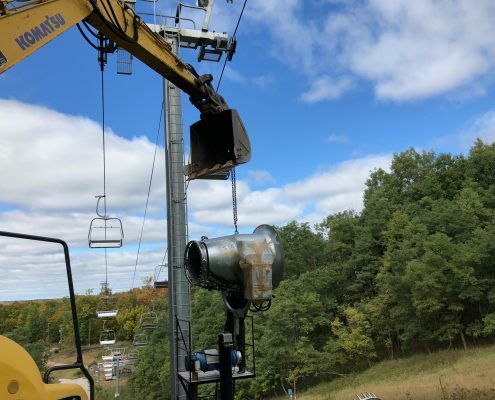 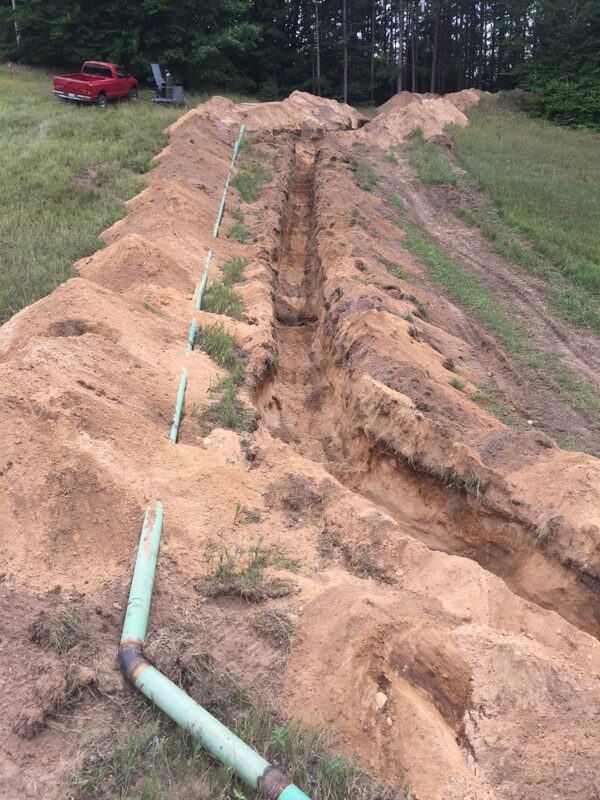 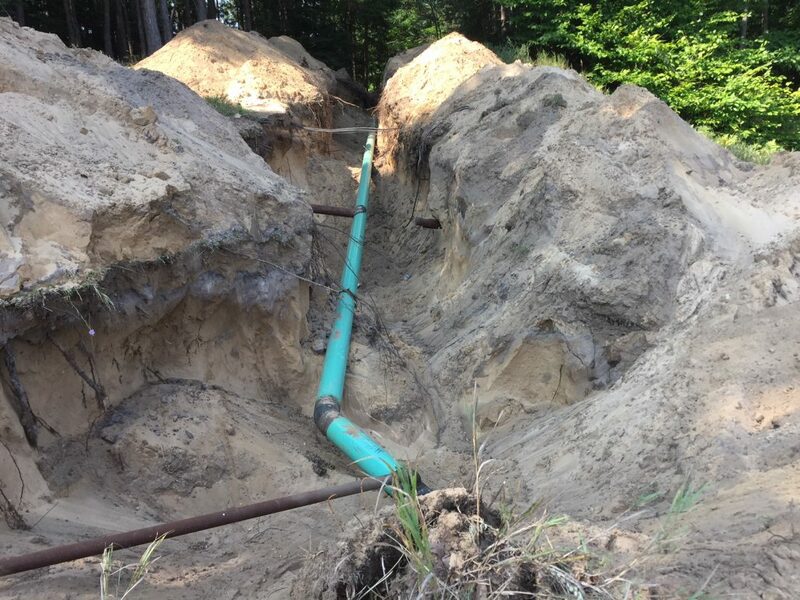 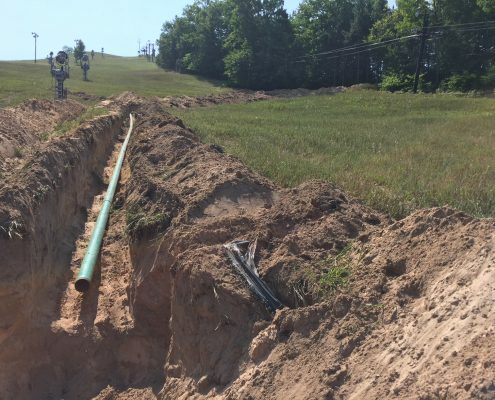 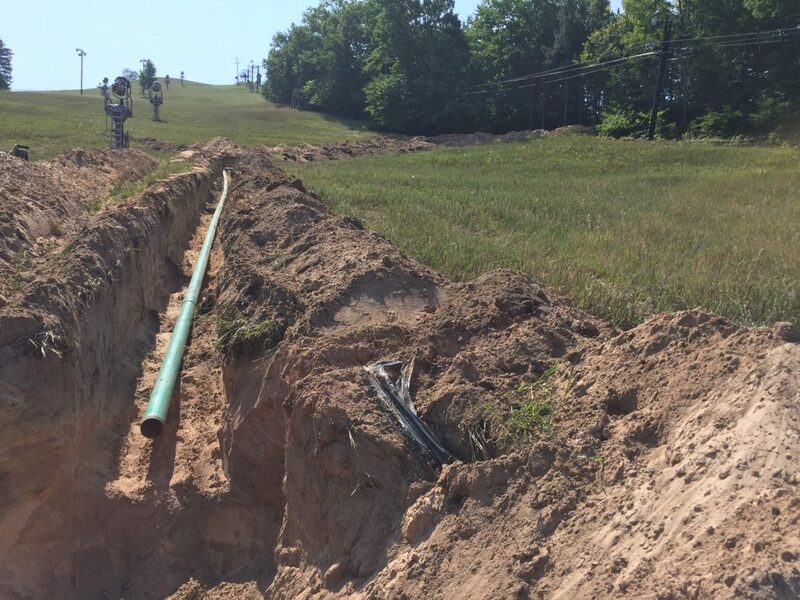 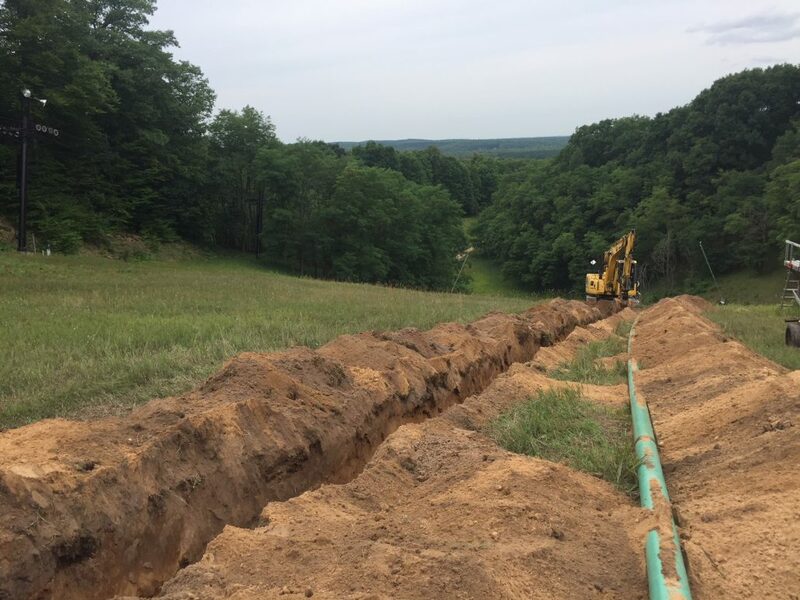 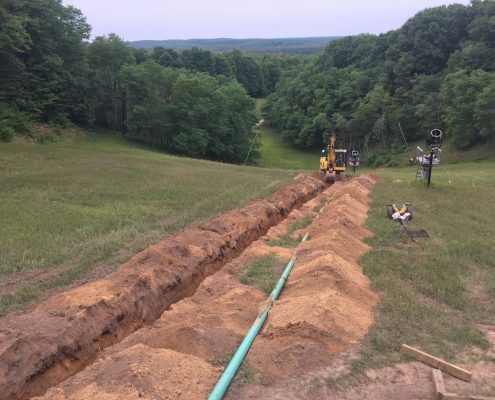 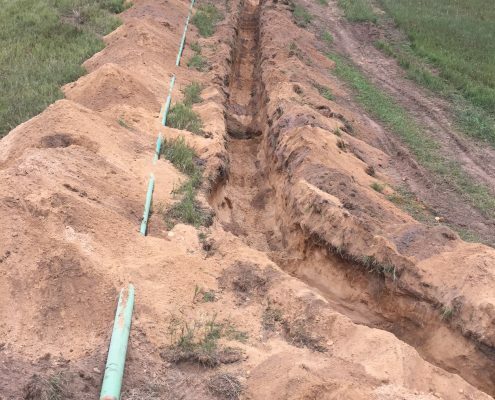 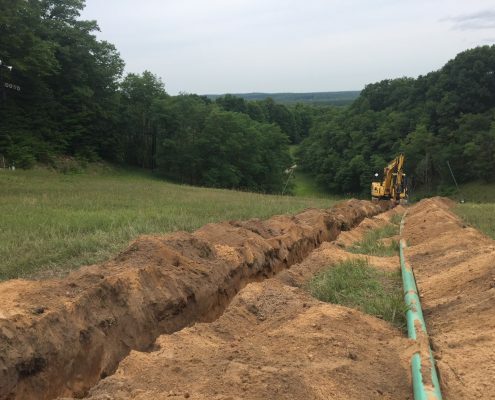 The crew has installed over 1000′ feet of larger diameter snowmaking pipe to allow for better flow, less friction loss, and a higher PSI. 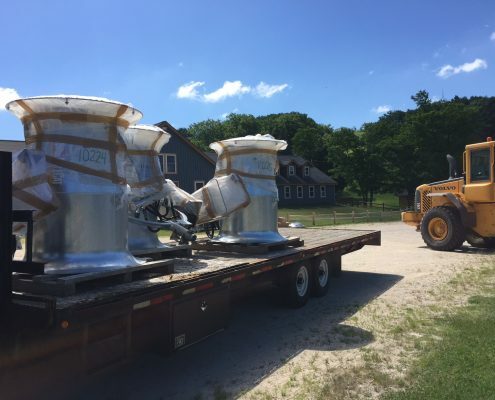 What does that all mean? More snow, faster. 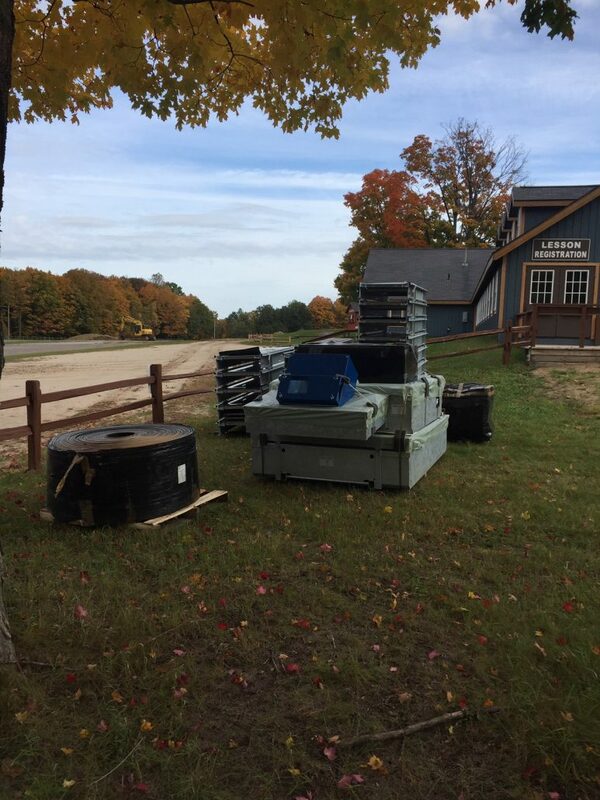 October 3: Brand new cross country ski rental equipment from Rossignol. 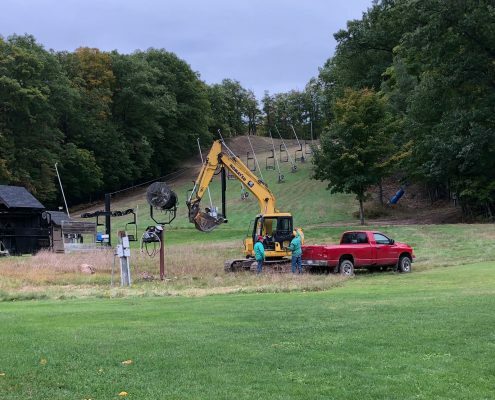 For those Nordic skiing enthusiasts, you can now rent XC equipment at the Peaks and access 15 km of groomed trails right from our resort. 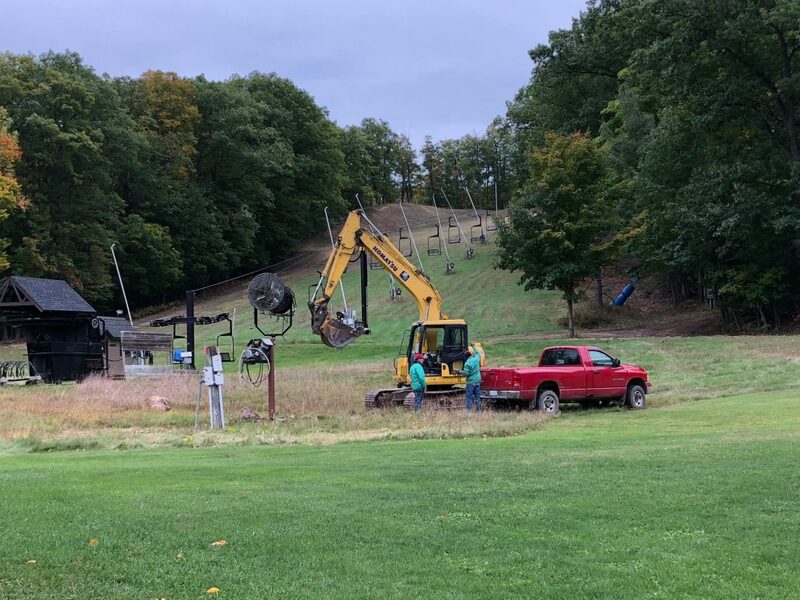 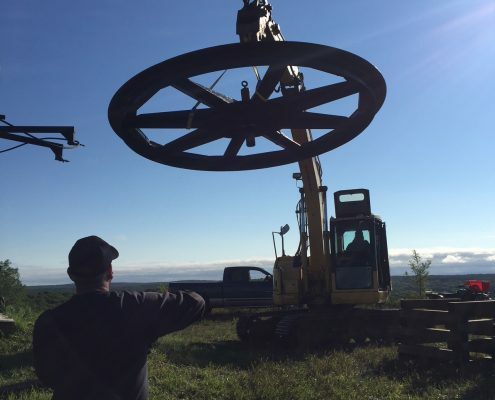 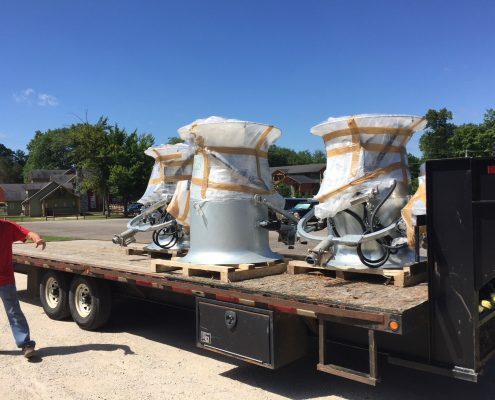 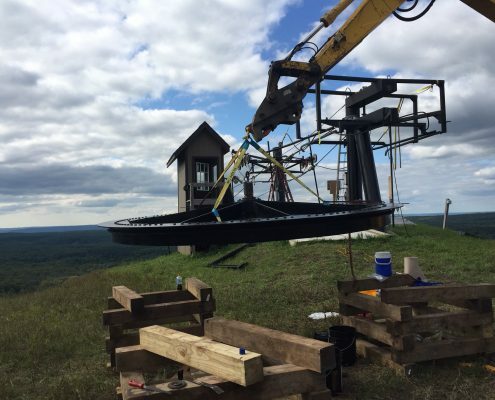 October 10: 4 New SMI Super Pole Cat snowmaking towers and 9 new SMI Polecat snowmaking towers.